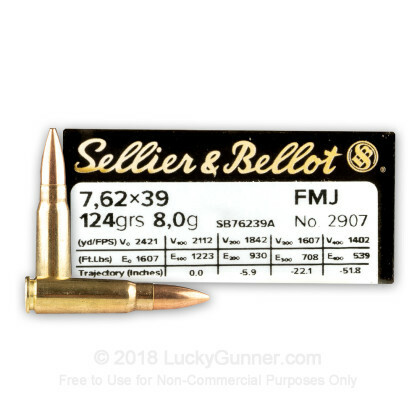 If you're looking for non-magnetic 7.62x39 range ammo, then Sellier & Bellot's 7.62x39 ammo is an excellent choice. 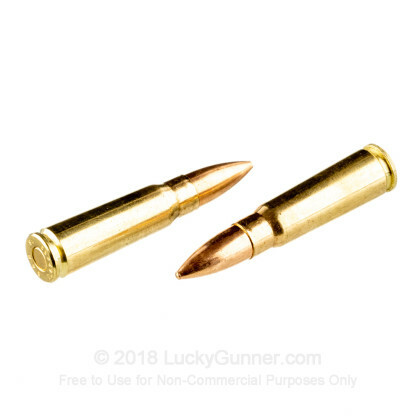 This high quality brass cased ammo does not contain steel in the projectile making it acceptable to shoot at ranges that have a non-magnetic ammo only policy. Brass casings also offer the added benefit of being more corrosion resistant making them more suitable for long-term storage as well as being reloadable. 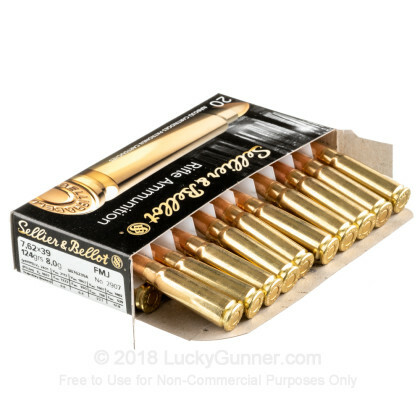 NOTE: Sellier & Bellot has notified us that the individual box packages are labeled as 124 grain, though they are in fact 123 grain as shown on this listing. First Lucky Gunner purchase. LG may well be my new source for all ammo. Excellent service. Fast delivery. Very competitive pricing. 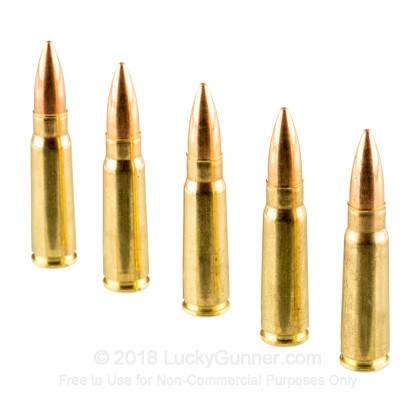 LUCKY GUNNER IS THE FIRST WEBSITE I GO TO WHEN I NEED TO PURCHASE AMMO. I FIND THEIR PRICES ARE ALWAYS THE LOWEST, THE AMMO IS IN STOCK, DELIVERY IS AS PROMISED. I ALSO LIKE THEIR FOLLOW UP ON MY ORDERS AND THE PERSONAL SERVICE. The product came faster than expected and has been flawless. I can't imagine purchasing my ammo from anywhere else now that I found Lucky Gunner. 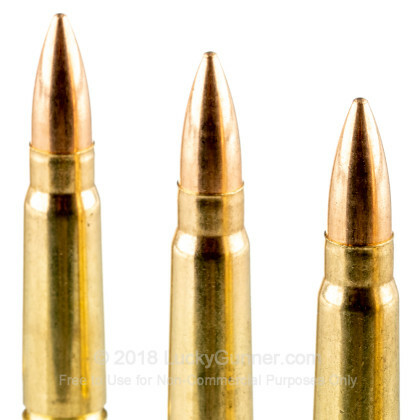 Q: Is this brass good to reload? A: Hi John. 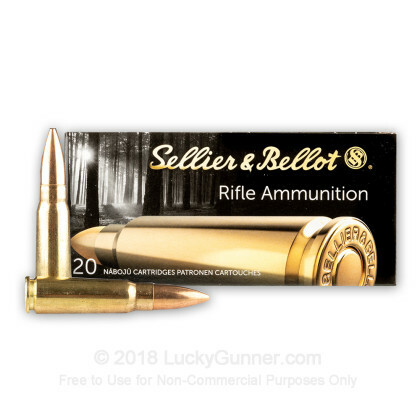 This Sellier and Bellot uses high quality brass casings that are Boxer primed. They are perfect for reloading! Q: I was wondering if the 7.62x39 - 123 Grain FMJ - Sellier & Bellot - 600 Rounds ammo if free of any metal? I see it is brass cased but is the bullet jacked with copper? I can't shoot anything at the local range that is magnetic because it has metal in either the bullet or the case. Thanks, Bob D.
A: This is an indoor range friendly option. This bullet does not contain steel. Copper and lead only. We also have this 7.62x39mm - 123 Grain FMJ - Sellier & Bellot - 20 Rounds ammo in stock in a smaller quantity.